Finnish photographer and illustrator Vesa Lehtimäki likes taking pictures of his kids’ toys, arranging them in such a way that makes them look life-size. 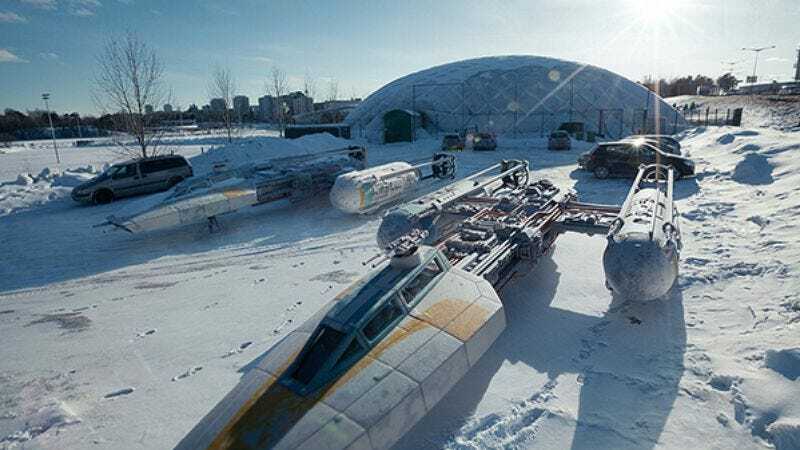 With his Star Wars Scale Model Project, he takes “some old MPC models built in the late 1970s and early 1980s” and more modern Finemolds models, and places them in photographs to approximate real, flyable spaceships. The results are gorgeous, with some photos making the Millennium Falcon look downright angelic in the snow. One shot of the Falcon among snowy trees feels like a mesmerizing combination of science fiction and Robert Frost. Lehtimäki also photographs Legos and other toys, all which can be seen with the rest of his work on Flickr.